Jason and Craig Williams will be chasing a family win with Demonstrate in the Listed Carylon Stakes. 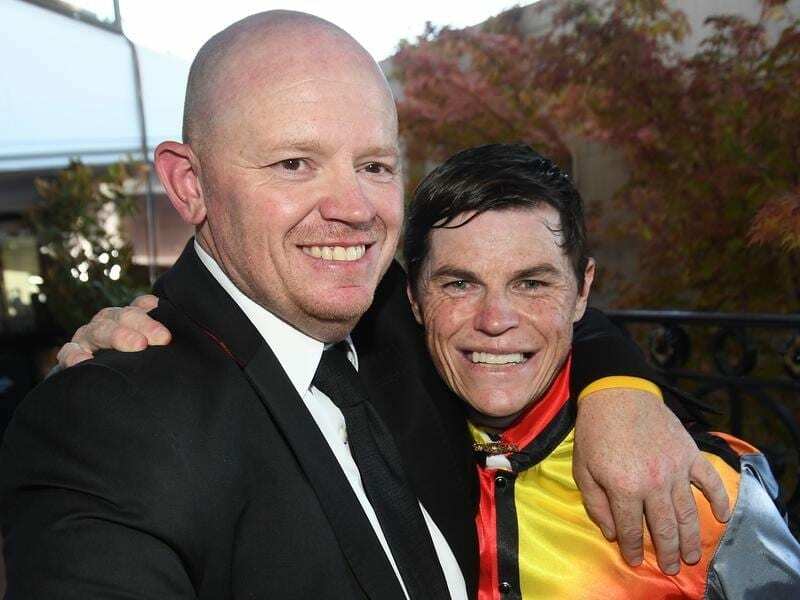 As a jockey Craig Williams has been immune to the different emotions horse ownership can evoke. That was until his wife Larysa became involved in the family’s racehorse Demonstrate. Demonstrate is trained by Williams’ father Allan and brother Jason and is also owned by other family members and long-time friends. The sprinter won two races during the autumn, his latest at Flemington in March, and returns in Saturday’s Listed Carylon Stakes at Moonee Valley. “It’s the first horse Larysa has raced,” Williams said. “I remember when she was getting ready to go to Flemington and how nervous she was. “I said to her ‘why are you so nervous, we do this everyday’ but I got to see the emotion that comes out that we take for granted. While holidaying following a six-win haul at Flemington last month, Williams said his wife expected the same everytime he rides Demonstrate. But he was relieved to hear Larysa had relaxed those demands after looking at Saturday’s field. “She’s gone from nothing but winning to being in the top six and running on which means I might keep the ride for a bit longer,” he said. “He’s trialled-up nicely, his first-up form is good and he appreciates the Strathayr at Moonee Valley. Williams said Demonstrate came to the attention of his brother in Adelaide in 2016. “He worked as my valet over in Adelaide when I rode Demonstrate there in the Euclase Stakes and I really liked the horse,” Williams said. “He likes buying from Godolphin because if there’s any problems they tell you and everything is open, you know exactly what you’re buying.